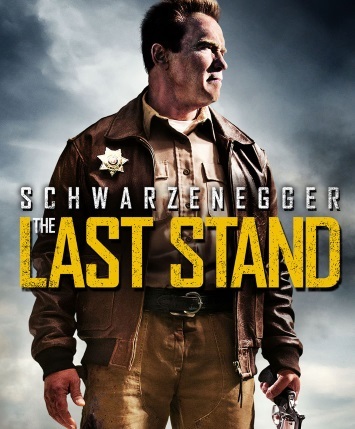 Episode 5 – The Last Stand (2013) with Sean Duncan | Podcasta la Vista, Baby! This entry was posted in New Episode and tagged arnold schwarzenegger, conan sword, forest whitaker, gatling guns, jaimie alexander, johnny knoxville, luis guzman, nunchucks, peter stormare, sean duncan, the last stand by Mike Gillis. Bookmark the permalink. Just listened. Great show, and Sean was an excellent guest! You guys have real chemistry and sounded like you were all having a lot of fun. I found myself smiling and laughing along, as usual. Keep it up Mike and Casey! P.S. I looked up an interview with Peter Stormare to hear his real voice… It’s completely unplaceable. Somewhere in the UK, mixed with parts of Texas. Sometimes he hits his Rs hard, sometimes he drops them entirely. I fear that years of playing “generic European” have destroyed his natural accent… or maybe that’s just a Swedish accent.